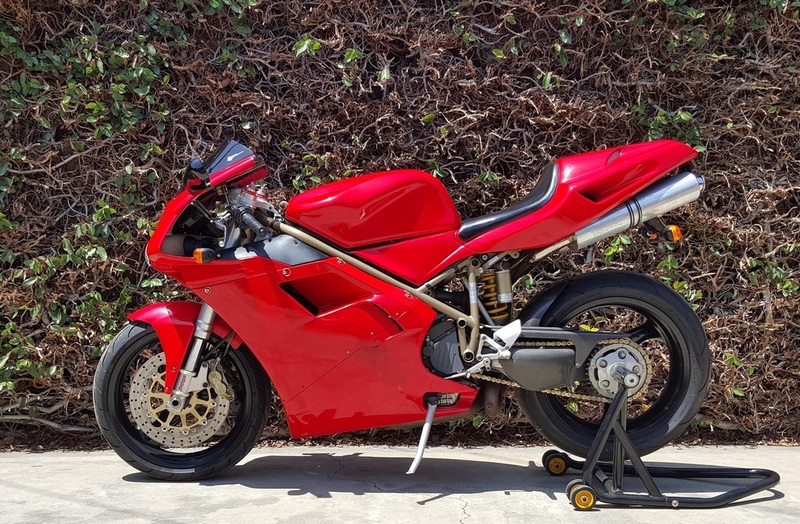 This 2000 Ducati 748 has low miles (less than 7,000) and runs strong. It handles great and the suspension has been adjusted correctly. Additional service includes a brake/clutch fluid change and new air filters. The tires are in good condition (Michelin Pilots) and the brakes are strong. 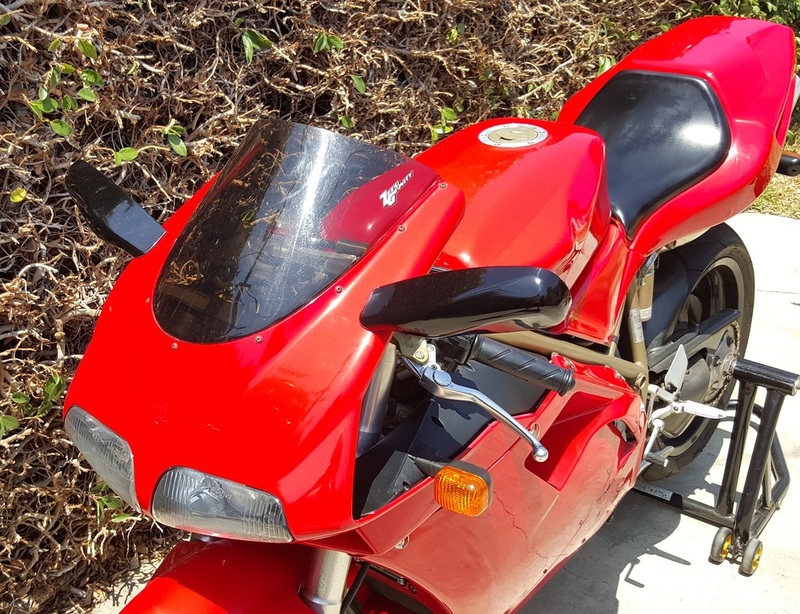 Because of the good condition of this Ducati, I'm not interested in low-ball offers. The price is fair market value for this model in this condition, taking into account the low mileage. Please take the time to come look at the bike before making me a reasonable offer. I have a clear title in my name and current CA registration/insurance. 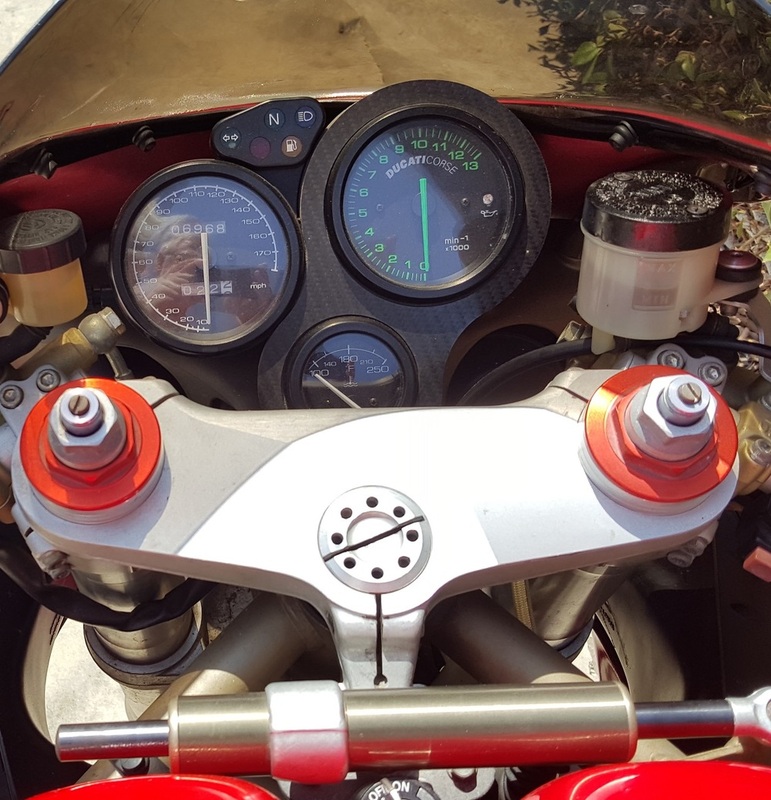 The bike is ridden so the actual mileage may be slightly different than shown. Rear stand shown in the photos is not included. Click on the pictures in the slideshow to see the larger version of each picture.